"Walsall are dangerous from set-pieces, but Barnsley are strong at the back with just 18 goals shipped in 19 games on the road." The golden rule in football betting is "never back odds-on away from home". I would suggest it applies more so to League One - what with the haphazard nature of results, but in truth, it is pretty hard to get away from Barnsley here at [1.75]. 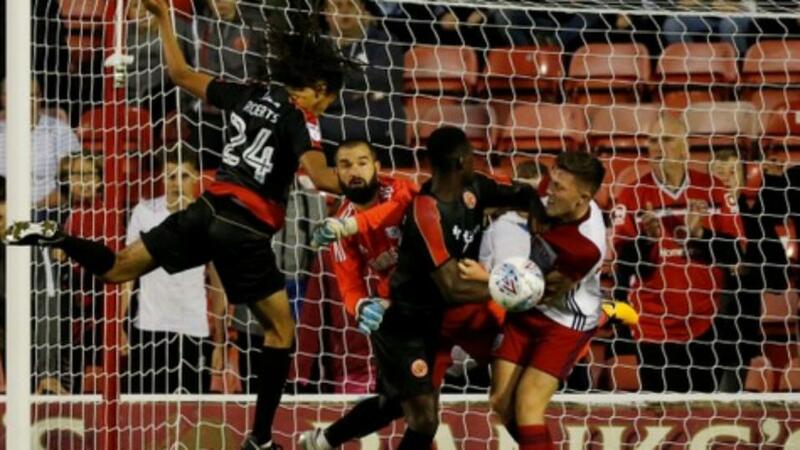 We opposed the Tykes for last Friday's Yorkshire derby with Doncaster by punting the Draw outright, and with the 0-0, it at least earned a small profit on the weekend despite two blow-outs on the Saturday. Incidentally, I have given up on Burton! Can we back the Draw again? No, as Walsall are nowhere as good as Doncaster. The Saddlers have recently suffered back-to-back losses which has taken them into the bottom four. That record doesn't quite match-up to Barnsley's impressive tally of 18 games unbeaten. I tend to go with the Barnsley -1 with these sort of prices, and with Daniel Stendel's side showing such an aptitude for keeping a clean sheet (currently six successive), you have always got a chance. Although with that bet, you don't get the push, hence the larger price than the Asian Handicap. Walsall are dangerous at set-pieces, but Barnsley are strong at the back with just 18 goals shipped in 19 games on the road. The 'Yes' in the Clean Sheet market is probably the way to go here. Plymouth are regulars in the column, but Bristol Rovers have hardly been mentioned here since Graham Coughlan took over as manager following the departure of Darrell Clarke. Their transformation from 21st to 13th is some turnaround, and the [2.82] price is reflective of a decent run on the road under Coughlan with five wins from seven. The away manager will get a warm reception at Home Park I am sure, as a former player with the Greens and a bit of a legend from his centre-back days. Sentiment aside, my gut instinct was to side with Plymouth - who are unbeaten at home since December, a run that includes a couple of draws against the heavy hitters Luton and Portsmouth. However, both might be in mid-table, but they are only three and two points clear of Walsall - who are in the drop zone. It's a match that neither dare lose considering the tight nature of that pack from 12th downwards. The Greens are unbeaten in eight home matches against Rovers (W4 D4), and I quite like the idea of backing the Draw with that Opta stat in mind. Rovers have kept four successive clean sheets too, which just about sways me for the stalemate. Both of these teams usually concede. Rochdale have let in an astonishing 34 goals at Spotland this season, whilst Scunthorpe are not too far away with 30 on the road in the "against" column. On the plus side, Stuart McCall's team defended quite well for around 70 minutes against Portsmouth - and it showed they can dig in. McCall used a 3-5-2 for the trip to Pompey, which was a tactical switch from previously. Whether he'll go that way against Dale I am not so sure, as that was designed to soak up as much pressure as possible. It's strange talking about the hosts without Keith Hill - who was sacked recently following six years in charge of Rochdale. It was understandable with the way results had gone, but there are better signs with their most recent pair of results with a win against Shrewsbury and a 0-0 v Oxford. Both managers will be keen to take at least a point from this considering how tight places are down at the bottom. With the Opta stats informing that the last three meetings between these two have ended up a draw, it is another chance to side with that bet at the bigger price - as in truth, I cannot really trust either to back for the win outright.